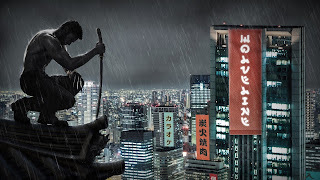 After the horrid mess that was X-Men Origins: Wolverine, producers Hugh Jackman & Lauren Shuler Donner decided to dig deeper into the fan-favorite hero & take him to Japan by adapting the 1982 limited series by Chris Claremont & Frank Miller. Of course, as with any comic book movie adaptation liberties have been taken, but unlike Origins (where the changes made to the source material were rather cringe-worthy), here all the changes work & add to the story. 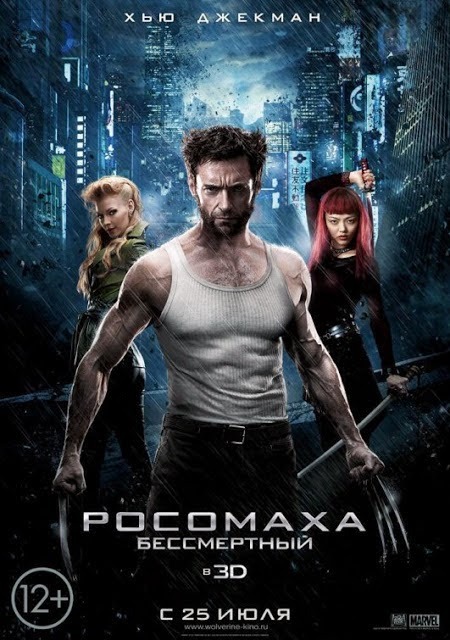 The film opens with Wolverine being down in the dumps (almost quite literally) after the events that took place in X-Men: The Last Stand. He is being tracked down by Yukio who tells him he has been sent for by Yashida, who Logan knew during his prisoner of war days in 1945 Nagasaki, Japan. Yashida is now on his deathbed & wishes to bid farewell & thank Logan who saved his life. And so begins Wolverine's journey of self-discovery in Japan where he meets his new flame, Mariko Yashida. The story was obviously one of the main issues with the previous Wolverine movie. This one doesn't waste time in introducing useless mutants just thrown in for the heck of it. 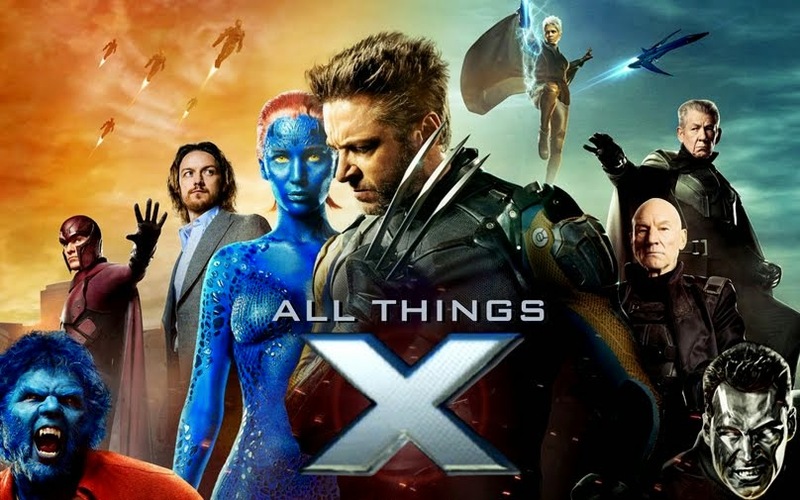 Each character in this movie, whether mutant or human, has a purpose & helps drive the story forward. I must warn you though that the film does take time to find it's groove & the first half of the movie seems to be paced a tad too slow. But what's good is that it takes time to get under the skin of Wolverine's character & his whole attitude towards his immortality. Direction by James Mangold is pretty good. What I loved most about the film were the action sequences- fast-paced but not in a manner where you feel you're losing track of what's going on. The parkour sequences are filmed excellently. Loads of slicing action out here too- if only it was R-rated so we could enjoy a bit more blood, but they are supposedly releasing an R-rated version of it too. Also I must add that it was great to see the gals in the film get their fair share of action. It was really nice to see Mariko not portrayed as a complete damsel & all the action scenes with Yukio & Viper were fun to watch. Now onto the acting. 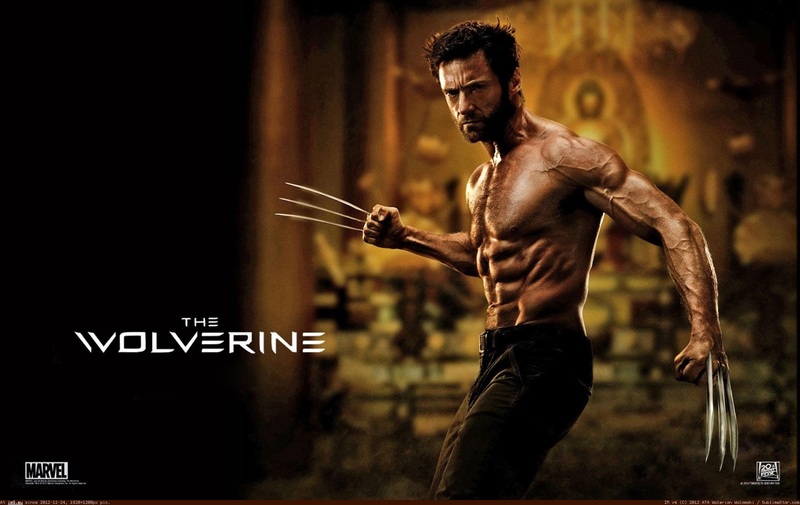 Hugh Jackman as Wolverine- The man's dedication & love for the character truly shows in this film. You can tell that he's really worked hard at getting the Wolverine that all the fans have been dying to see on the silver screen. It's most definitely the best portrayal of Wolverine on film till date. I must add that his physique in this film is the best it's ever been. 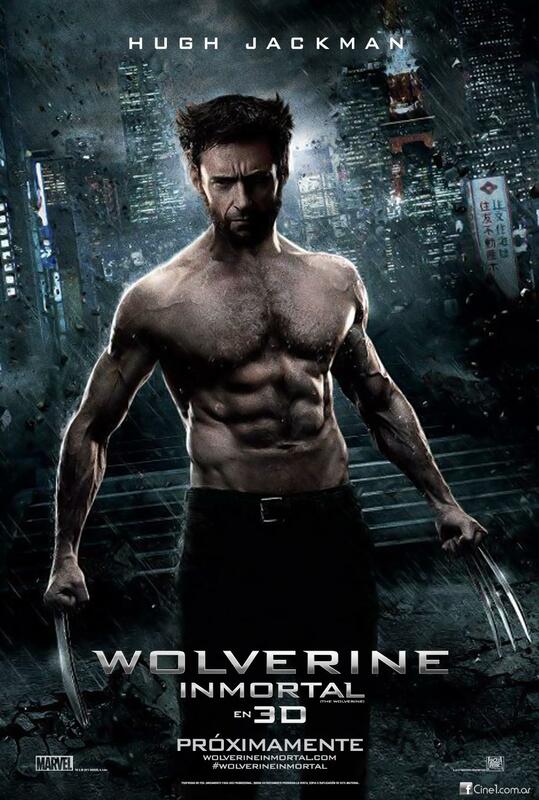 And I just have a suspicion that Mangold increased the shirtless scenes after seeing the extra work he put into it. So that's an added incentive for the ladies. I must really hand it to Tao Okamoto & Rila Fukushima who play Mariko & Yukio respectively. Absolute newcomers from Japan coming fresh into such a large-scale Hollywood production. Really good acting from them, especially Tao. And she's beautiful as Mariko. And even though Rila's looks aren't in the least bit conventional (I have to admit I was disappointed when she was announced), she does look pretty good in the film too! Svetlana Khodchenkova as Viper is amazing! This character is completely different from what she is in the comics but I absolutely loved it & I did have a hunch I would from the glimpses I got of her in the trailers. She's great as the menacing villainess trying to hunt down Wolverine. And the climactic fight scene between her & Yukio is a joy to watch. It was great to see Famke Janssen reprise her role of Jean Grey here. Though she only appears in Logan's dreams she still ends up making an impact by helping you get further insight into Logan's current psyche & his undying love for her. In the midst of all this, it's nice to see the relationship he forms with Mariko. The chemistry between them is not as great as the one Hugh had with Famke but it is nonetheless heartwarming to see the violent Wolverine become the calm(er) & protective Logan when he's with Mariko. The interaction he has with Yukio is also very interesting as well. I think it's sort of like the Wolverine-Jubilee relationship in the comics. The Visual Effects. This time around the VFX in this film was pretty good. The claws look great & the Silver Samurai looks even more awesome than that little glimpse you got in the trailers. 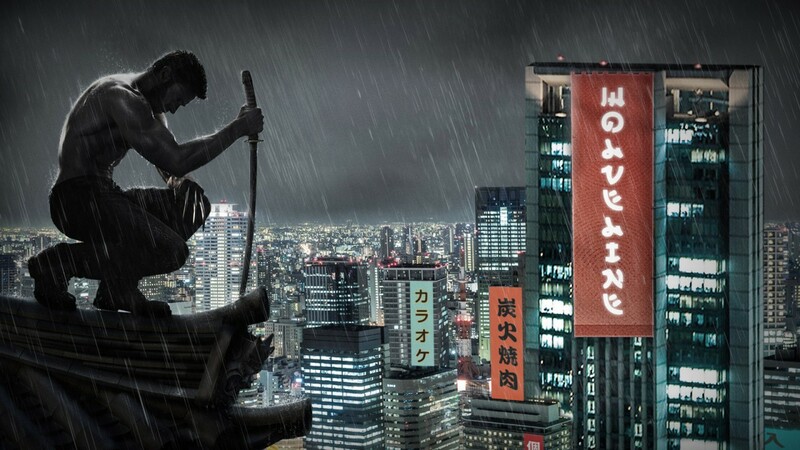 They've really worked hard to make it look larger than life & make the Silver Samurai truly a worthy opponent for the Wolverine. All the effects for the Viper's character look really cool too. All in all, the effects don't take away from the story this time but rather aid it. Other noteworthy mentions before I wind up this review: The film is interjected throughout with some funny one-liners, almost all coming from Logan, that truly delight & a few really hilarious moments as well. Viper's costumes were, in one word- hot. They aren't direct copies of her comics counterpart, but are really well-designed with Svetlana looking amazing in all of them. AND finally, the after-credits scene! It's fantastic- leading into X-Men: Days of Future Past. Enjoyable cameos, dialogue & little clues that you should not miss out on at ANY cost! So what's the final verdict on the film? It's a well-made film but suffers from a slow pacing at the start, the 3D doesn't really add to the film in any way (surprise, surprise) & one scene did manage to irk me as well but that's a minor bit that I won't get into or things will get spoilery. But with a well-written story, good acting & great action it definitely helps you forget about Origins. It gets a 6/10 for me. Now I know that I rated Iron Man 3 the same & called that movie disappointing. This film, however, was not a disappointment at all but as I left the theater I didn't find any reason to go gaga over it & rate it higher. All I can say is that if they continue in this direction in the same way it can only go up from here for future Wolverine & X-Men movies. I still haven't seen it. Hopefully this weekend Neil. I included your review in our weekly round up Man. Thanks man! I wonder if you've seen it by now... :P If so, wotchya think?